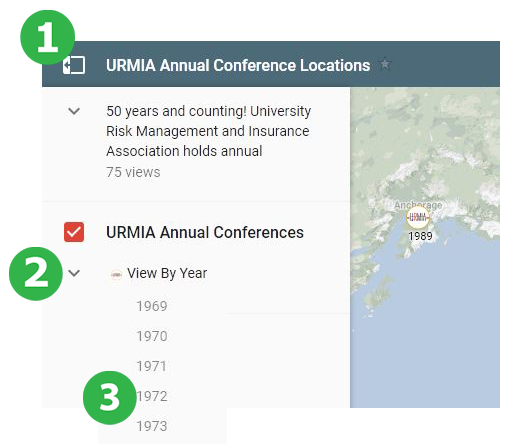 Conference Locations - University Risk Management and Insurance Association, Inc. Maneuver as you do in Google Maps to zoom and reposition the map. Click/Tap a marker to see more information about that conference. Click the icon to open the information panel. Expand the View by Year list. Click on a year in the list to zoom the map to that location.